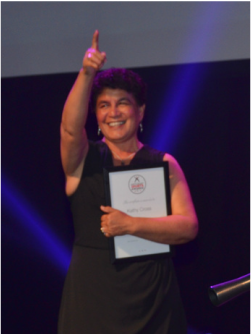 The Hutt News - Upper Hutt Leader Supreme Award Winner for 2016, Kathy Cross. 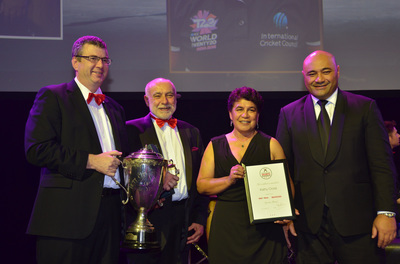 At a highly charged event in the Walter Nash Stadium, the International Cricket Umpire won the Trophy from the nine other Category Winners. Earlier in the night, Jockey Jimmy Cassidy was inaugurated as a Legend of Hutt Valley Sport and Hutt City Mayor Ray Wallace conferred a Mayoral Citation on New Zealand Rugby CEO Steve Tew. Held in the new Walter Nash Stadium in Lower Hutt a record 660 attendees saluted Hutt Valley Sporting success in an evening of celebration, music and dance. 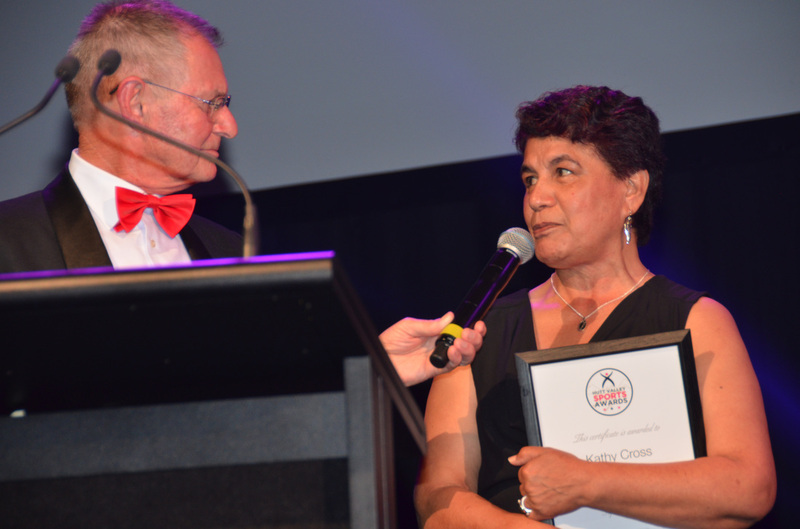 Grant Davidson General Manager Hutt News – Upper Hutt Leader recognised Kathy Cross’s wonderful year. A year in which she became one of only two women umpires selected to officiate at the Women's T20 World Cup Tournament in India - March 2016, umpiring the India v. Pakistan game on 16 March, she was the first Woman worldwide to stand. 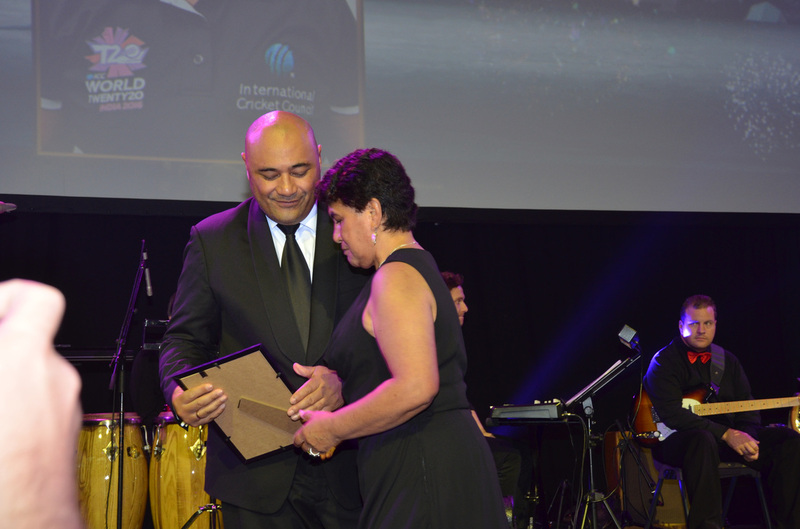 She also umpired White Ferns ODI and T20 and top domestic matches. Jimmy Cassidy…born and schooled in Lower Hutt he rode into the Hutt Valley Sporting Legends on the back of an amazing career as a Jockey. Now retired his rise to the top of Australasian racing began with his win on Kiwi in the Wellington Cup in 1983 …and of course his amazing follow up win again on Kiwi in the Melbourne Cup. Racing commentator Des Coppins recognised his subsequent rides, wins in the 1987 Melbourne Cup followed by the Cox Plate in 1988 through three Australian Derby’s 1990, 1993 and 2009 through 100 Group one races and a place in the Australian Racing Hall of Fame. 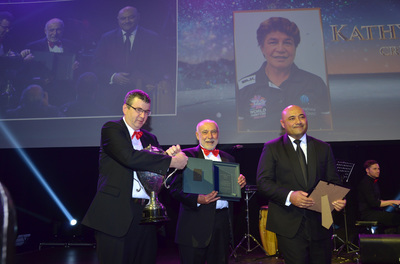 Ray Wallace Hutt Mayor read a citation recognising former Hutt Valley High School and Hutt Old Boys Rugby player and now after a ground-breaking career in sports management as CEO of Rugby New Zealand and one of the most effective sports administrators in the world. The Hutt Valley High School Rugby and Kapahaka group welcomed him onto the stage to receive his citation only the fourth in Mayor Wallace’s time.